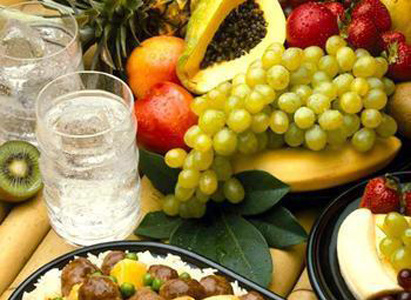 Diet is very important for ovarian cancer treatment. During the treatment process, proper diet enables ovarian cancer treatment to get double effect with half the effort. On the contrary, improper diet may worsen patient’s body condition. What is the diet principle for ovarian cancer patients? Ovarian cancer patients should eat less fatty foods, including fat meat or other foods containing rich fat. Their daily diet should be light and contains minimum fat, such as fish, chicken and duck. However, meat cannot be completely removed. Protein supplement is very important for ovarian cancer patients. Besides milk and eggs, they should also eat more vegetables and fruits, which contain rich plant protein and vitamin as well as minerals. To adjust and nurse their body, postoperative patients can take some tonics, such as longan, mulberry, black sesame, black fungus, carp and crucian carp, etc. which have very good tonic effect. However, the tonic supplement should be controlled in moderate amount. Baked, deep-fried and roasted foods should be avoided, for these foods usually contain nitrite, which can hinder the treatment and recovery. Besides, spicy and preserved foods also are obstacle to patients’ rehabilitation. Patients should keep a balance diet plan and don’t be picky. Otherwise, nutritional imbalance will bring negative effect to ovarian cancer treatment and patients’ recovery. Patients should eat more dried black mushroom, soybean, fresh vegetable, lentinus edodes, soft-shelled turtle, laver and other foods that are rich in fiber and trace elements. Moreover, experts from Modern Cancer Hospital Guangzhou remind that ovarian cancer patients should also establish a healthy lifestyle, for example, stay away from smoking and drinking, do moderate exercise and keep a balance timetable.